I did the edits you suggested me, @Tman2016. Now it should be a bit more manageable. Question: is this meant to be mandatory or did you just forget to put "you can" before "Remove"? Forgot the "you can". My bad. I kinda see Hollow as having OTK abilities with the right set-up. Especially if you were able to take control of a strong enough monster. This could make something like Kaiser Glider or Jinzo very troublesome. I'm wondering if the Linkbreaker should be have a "2 or more" material requirement since Psy-Portal makes the non-mandatory materials so negligible. Yeah, I guess it should. Specially considering what it can do. Decided to remake all the card in this one. Everybody check the original to see the changes to the original 14 cards and then give me your info on them. I'll add the new ones here. This card's ATK is 100 x Psy-Counter on your field. When this card attacks: put a Psy-Counter on it for every card linked to it. At the end of the Battle Phase: put 1 Psy-Counter on every monster you control that battled this turn. 1 or more Psychic Monsters. When this card is Special Summoned: Put Psy-Counters on this card equal to the total levels or ranks of the linked monsters. This card gains 100 ATK for every Psy-Counter on it and on every linked card. Once per turn: you can remove 1 Psy-Counter from this card, and if you do, Special Summon one "Psy-Factor" monster to one of the linked monster zones. I'm waiting for your critics, everyone. You may need to adjust the wording on Psy-Factor Caretaker on the second effect, otherwise people would just be using him as a way to multiply things like spell counters and A-counters to an absurd degree, especially if they summon 2 of him and they just keep targeting each other, making an exponential increase of counters. For Example: have 3 A-Counters (A-C for short) on a monster, and 2 Caretaker. during the end phase they both target the monster to get 4 A-C each, 9 total. Next end phase, one caretaker copies the other to now have 6 A-C, then caretaker #2 copies the other and now he has 9, assuming you haven't used any so far that's 18 A-C for a Golgarr or other nasty to dig from almost indefinitely. Maybe just adding a hard once per turn or making it only psy-counters would make it fine. Otherwise, I like the idea of an actually good counter system for an archetype. A Hard once per turn would be very limiting, but it makes some sense. A "other than-" would be better, to avoid self stacking. Limiting it to Psy-Counters makes more sense. About that card, it needs more erratas I just noticed: The first one is that the current wording makes it able to block any spell without paying counters (will need to set a minimum for that) and the second one is that "negate the effect", as one of the triggers include battle. Will thoroughly fix that one. Whenever a monster you control would be destroyed by battle or card effects from an opponent's card: Remove 1 Psy-Counter per Level/Rank/Rating on that card (min. 1); your monster(s) are not destroyed, and if you do, destroy that card. 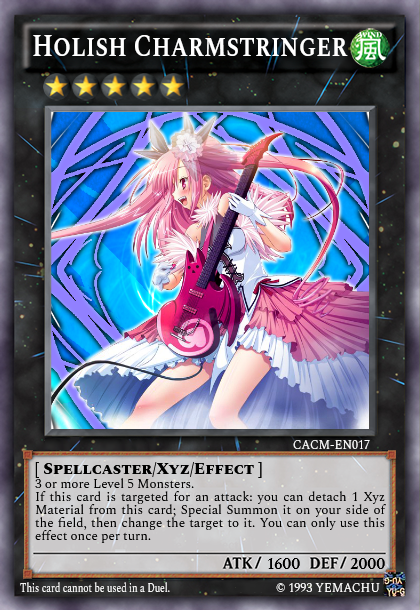 During your End Phase: you can pay 400 LP; target a monster card with counters on it other than "Psy-Factor Caretaker"; put on this card the same amount and type of counters on that card; this effect of "Psy-Factor Caretaker" can only be activated once per turn. 3 or more Level 5 Monsters. If this card is targeted for an attack: you can detach 1 Xyz Material from this card; Special Summon it on your side of the field, then change the target to it. You can only use this effect once per turn. Merry X-Mas!... and sorry for being so inactive, people. Well... that's pretty much the only card that would deserve to have Kaiba's image on it. Chale, let's begin! For those who doesn't know it(which is probably the most of you), I created a new type of Special Summon called Power-Up Summon, which is a kind of hybrid between Fusion and Ritual. It needs a start up monster monster and a kind of equip spell. The result is a Powered Monster. To Power-Up Summon and Powered Monster, you need both a special Equip Spell, known as Power Spell, and a monster that acts as a base, known as Basic Monster, who must be equipped with the Power Spell to start with the Power-Up Summon. The lore of the Powered Monster states which Basic Monster and Power Spell are needed to summon it: "This monster can only be Power-Up Summoned by the effect of [Power Spell] on [Basic Monster]". It might happen that, instead of a specific monster, you might need a monster with determinate attributes, or Base Settings. If it's the case, is reflected on the Powered Monster's lore, right at the beginning: "This monster can only be Power-Up Summoned by the effect of [Power Spell] on a [Base Settings] monster"
This summon, like Ritual Summons, have a cost. However, this cost can vary wildly, from "Pay ___ Life Points" to "Banish ___" and never involve the Basic Card. This cost is usually stated on the lore of the Power Spell: "When equipped to [Basic Monster], ___: Power-Up Summon [Powered Monster]". This is also the case when required a monster with Base Settings: "When equipped to a [Base Settings] monster, ___: Power-Up Summon [Powered Monster]"
When all is set and you pay the cost, you just have to take the Powered Monster from the Extra Deck and place it on top of the Basic Monster. The Powered Monster keeps the Equip card that were equipped on the Basic Monster, including the Power Spell. The Power Spell is the base of the Powered Summon, so if it leaves the field, the Powered Monster is de-summoned and his card sent back to the Extra Deck. When several Power Monsters share a Basic Monster and Power Spell, they are called a Power Family. Usually some Power Cards state the same cost to summon any member of the Power Family: "When equipped to ([Basic Monster]/a [Base Settings] monster), ___: Power-Up Summon a [Power Family] Powered Monster". If the situation allows it, you can Slide Summon a Powered Monster into an already empowered Basic Monster. Phisically, just take the first Powered Monster card from the Basic Monster and place the second Powered Monster in it's place. This is known as "swipe". There are two ways to swipe a Powered Monster in an empowered Basic Monster. First, you can Slide Summon another member from the same Power Family. To do that, you need just to pay the cost indicated on the Power Spell's lore: "When equipped to a [Power Family] Powered Monster other than [Powered Monster], ___: Slide Summon [Powered Monster]". This is also reflected on the Powered Monster's lore: "... or Slide Summoned by the effect of [Power Spell] on a [Power Family] Powered Monster other than [Powered Monster]"
There is the case than you can only Slide Summon from one specific Powered Monster: "When equipped to [Powered Monster 1], ___: Slide Summon [Powered Monster 2]". Likewise shown on the second Powered Monster: "... or Slide Summoned by the effect of [Power Spell] on [Powered Monster 1]"
The second way implies equip the first Powered Monster with a new Power Spell and Slide Summon it into a Powered Monster from a diferent Power Family: "When equipped to a [Power Family] Powered Monster, ___: Slide Summon [Powered Monster]" (Power Spell's lore); "This monster can only be Power-Up Summoned by the effect of [Power Spell] on a [Power Family] Powered Monster" (Powered Monster's lore). By doing this the new Powered Monster keeps both Power Spells equipped on itself. There it can also be the case that you can Slide Summon into all the members of the new Power Family, which is only stated on the second Power Spell: "When equipped to a [Power Family 1] Powered Monster other than [Powered Monster], ___: Slide Summon a [Power Family 2] Powered Monster"
Some monsters can only be Slide Summoned, so their lore would start like this: "This monster can only be Power-Up Summoned by... "
Also, Power Spells tend to have a generic effect besides the Power-Up Summon that might work on any monster equipped with the card, unless stated otherwise by the Powers Spell's lore itself. This effect is usually the first line of the lore, above the Power-Up/Slide Summon statement. On a side note, Power Spells are treated as Equip Spells in terms of other cards' effects. In fact, they can be considered a special type of Equip Spell. You can't Power-Up Summon on a recently summoned monster unless stated otherwise. Up to two Power Spells. Up to three Powered Monsters for each Power Spell. You can post only one set for any of the two categories. You can post for both categories. Powered Monsters should be posted as Fusion Monsters. Power Spells should be posted as Equip Spells. FLIP: Both players must reveal their hands; Each player gains 100 Life Points for every Spell or Trap Card they have. If the monster equipped with this card destroys another monster: Inflict Damage equal to 100 times the level of the destroyed monster. When equipped to "Lantern Girl Lenora", Send your hand to the Graveyard: Power-Up Summon "Lantern Guardian Lenora". 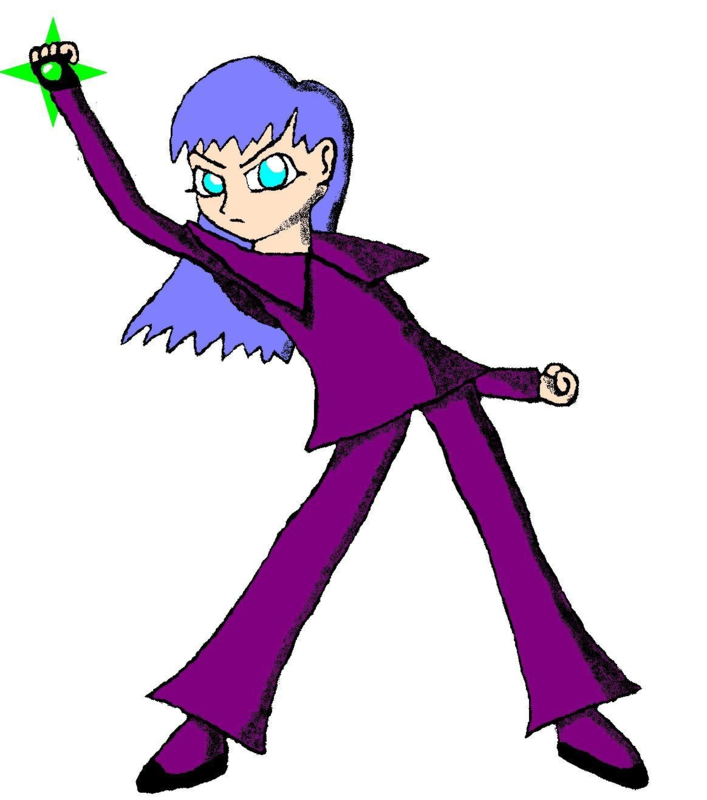 This monster can only be Power-Up Summoned by the effect of "Morning Star" in "Lantern Girl Lenora". Once per turn, select a card in your opponent's field: this card gets the effect of the top card on your opponent's Graveyard and change the target's effect by the effect of the top card of your Graveyard. Fee: 10 points for each set. I'm also looking for judges. No Fee, PM me to be chosen or to nominate someone. Will share the remainder of the pot. Well, there you have. Do your best shot, people! Name: "Yomi" can mean either "reading"... or "path to the underworld" or "Hades". If it's the last one, it's RAD! I can imagine it being a crimson, burning gate made of skeletons... THAT'S A CARD, MAN!! Primary Effect: I never saw a card that can banish a card and then "un-banish" it. Seems an original move. Secondary Effect 1: What if you already Normal Summoned that turn? You can't Normal Summon twice per turn, so I guess you banish your monster in that case, right? Secondary Effect 2: Wow... If I ever have this card, this will be my fav effect and the one I would love to use. Secondary Effect 3: This might be a great drawback. Will this affect, for example, the effect of "Mystic Tomato" to summon from your deck? Because that would make it very hard for me to use (My fave Deck in Yu-Gi-Oh! GX Duel Academy is Water, but I have "Mystic Tomato on it", just in case.